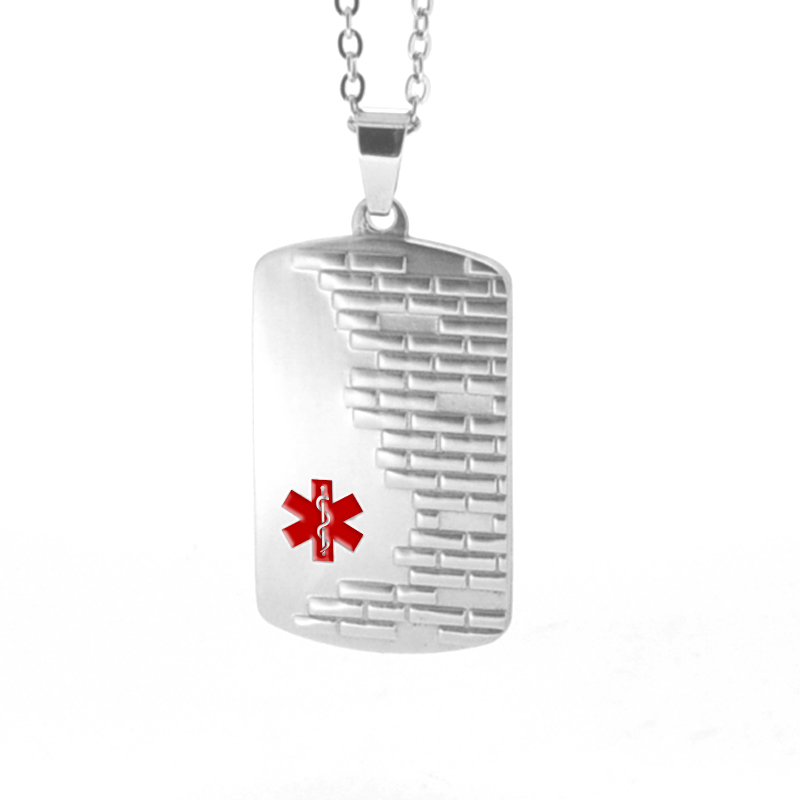 This medical alert ID necklace features a unique brick design and a red medical symbol on the front. This unique medical alert ID necklace has a cool brick effect. 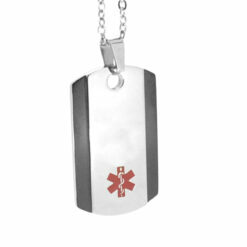 It has a red medical symbol on the front so it’s clearly identifiable as a medical ID. The pendant is made from stainless steel and it comes with a stainless steel chain of 18″, 20″, 24″ or a leather 20″ chain. In addition, the necklace comes in a gift box. The pendant can be engraved with up to 5 lines of text (20 characters per line) on the reverse. Our jeweller uses a diamond engraving toll to cut into the surface for a discrete effect. Colour infill is not used. For an example see above image. Or you can purchase without engraving and have your local jeweller/engraver engrave your details for you. for engraving, just check the personalisation box and also fill in your message in the space provided. or you can purchase without engraving and have your local jeweller / engraver complete the details for you. 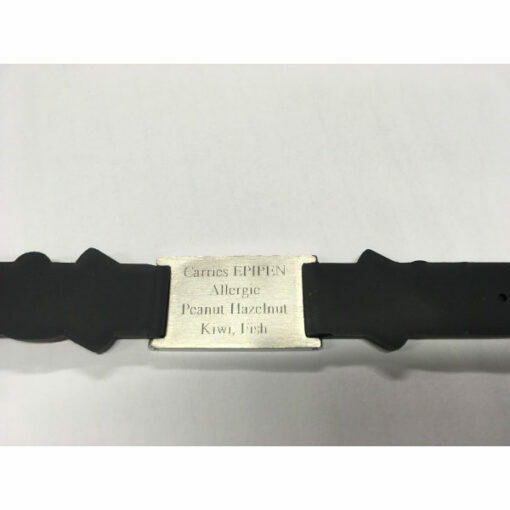 If you would like to have the bracelet engraved, please select “Yes” in the “Do you require personalisation?” check box and then enter your information in the spaces provided. You can also check “No” and have the bracelet engraved by your local jeweller/engraver. A stainless steel brick design. 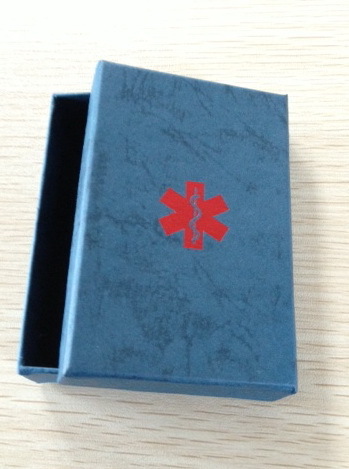 We can engrave medical information on the back. Comes with either a stainless steel chain (18″, 20″ or 24″) or a 20″ leather chain. The pendant it self is nice and the ingraving is easy to read. The chain however could ave been a little bit stronger. It lasted for a few days. although this was on an 8-year old, I had hoped it would last a little bit longer.